Strange Things Happens in Zouk KL ! 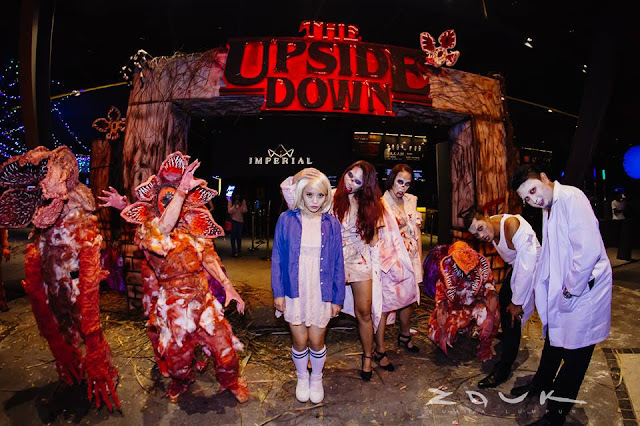 Saturday October 28th, Zouk Club KL hosted their annual Halloween Party, which transformed the venue into a horrifying and immersive installation known as “The Upside Down – A Zouk KL Horror Anthem”, where party goers donned their scariest/sexiest/weirdest costumes accompanied by great music and incredible lights that had the guests dancing in the dark until the early morning hours. 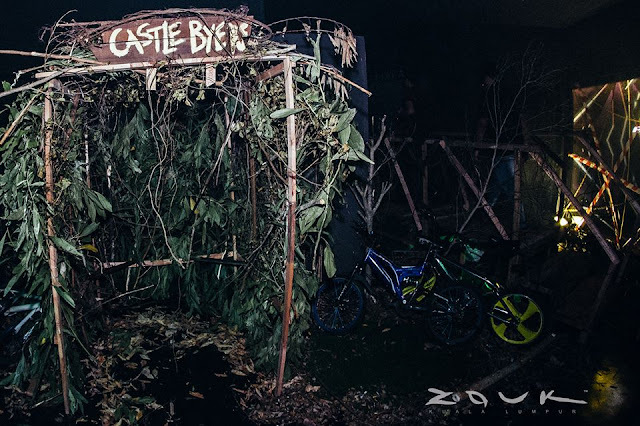 Inspired by the popular Netfilx hit series – Stranger Things with the series’ second season premiering this fall, Zouk Club KL has decided to acquire various elements from the show and make it come to life for audiences. The production levels were turnt up and the decoration all around the site didn’t disappoint. 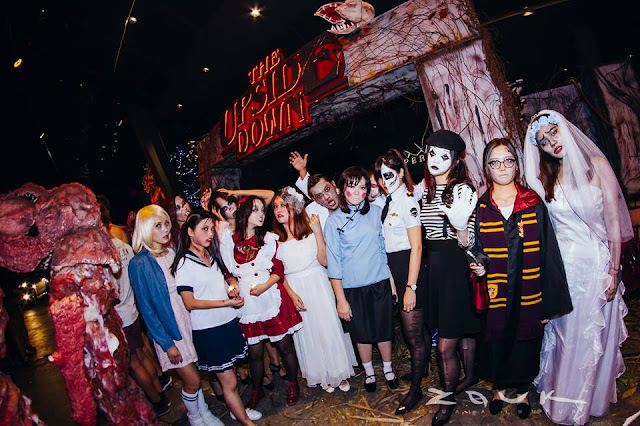 With so many Halloween parties taking place at the same time, Zouk KL managed to pull a crowd that filled it to the brim. 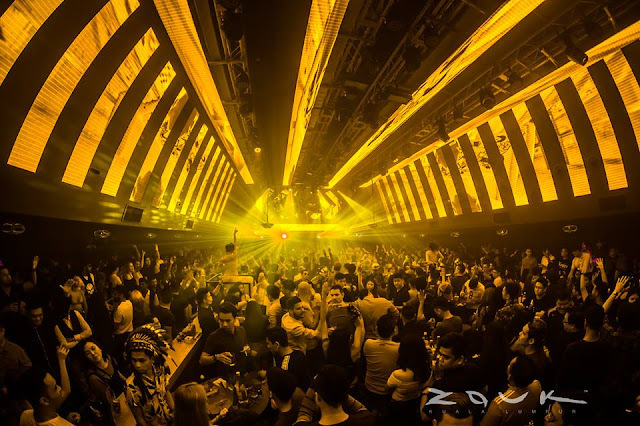 Zouk Club KL transformed their rooms into different scenes, as the Zouk Main Room turned into Byer’s House, Velvet Underground changed to Mad Lab, Phuture decorated into Sinister Street and Imperial were The Aftermath. All inspired by the popular Netflix series; Stranger Things. Highlight of the night was the giant The Demogorgon infront of the entrance, is definitely Instagram worthy, plus incredible realistic decoration around the club such as christmas lights and alphabet wall (Joyce’s Ouija Board) and human size Demogorgon walking around. Besides party & dance with the monsters, Halloween costume contest running from 11pm until 1am. All kinds of spook-taculous costume from Joker to Zombies and Super Mario Bros; bringing out the weirdest, creepiest and funniest for the night. 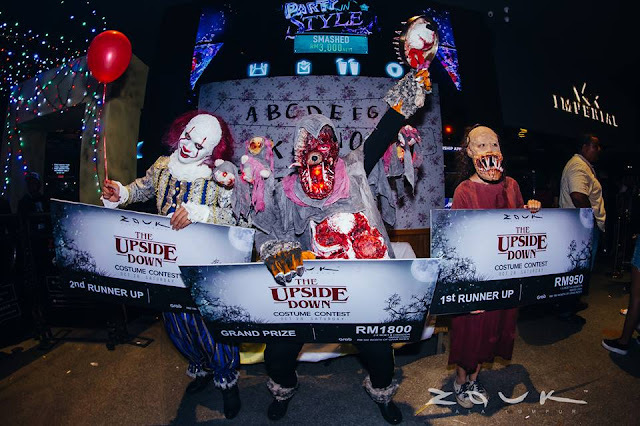 From hundred of the creative entries the final top 3 that stood out from the crowd won prizes worth up to RM3500 !